R. Potok, gen. 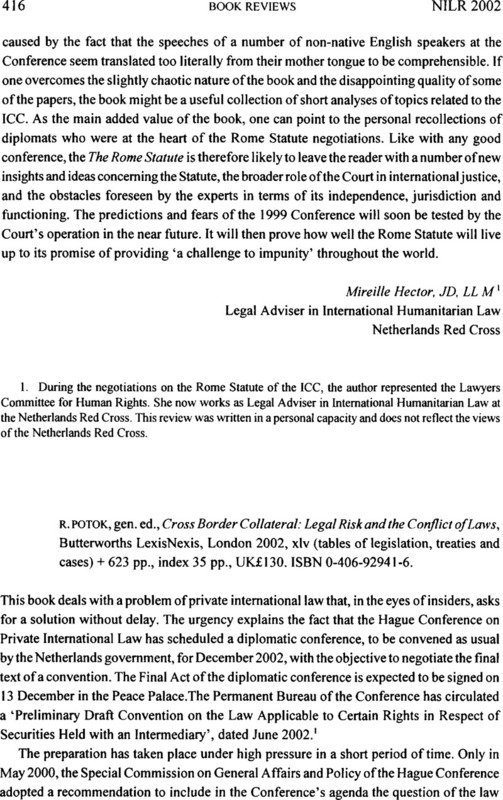 ed., Cross Border Collateral: Legal Risk and the Conflict of Laws, Butterworths LexisNexis, London2002, xlv (tables of legislation, treaties and cases) + 623 pp., index 35 pp., UK£I30. ISBN 0-406-92941-6. 2. MacMillan Inc v. Bishopsgate Investment Trust plc,  1 WLR 387,  1 All ER 585.